Naturally, we all want to do the best for our families, and keep them properly protected on every occasion. In simple terms, life insurance provides a tax-free lump sum on death. If you need convincing that life insurance is a good product to buy, ask yourself this question. If you were to die, how much money would your family have to live on? Many families would find themselves running short of money very quickly. Your salary would stop, but the household bills and mortgage repayments would still need to be paid. A payout from a policy could make the difference between your loved ones facing a financial struggle at a challenging and emotional period in their lives, and being able to maintain the sort of lifestyle they enjoyed when you were still around. 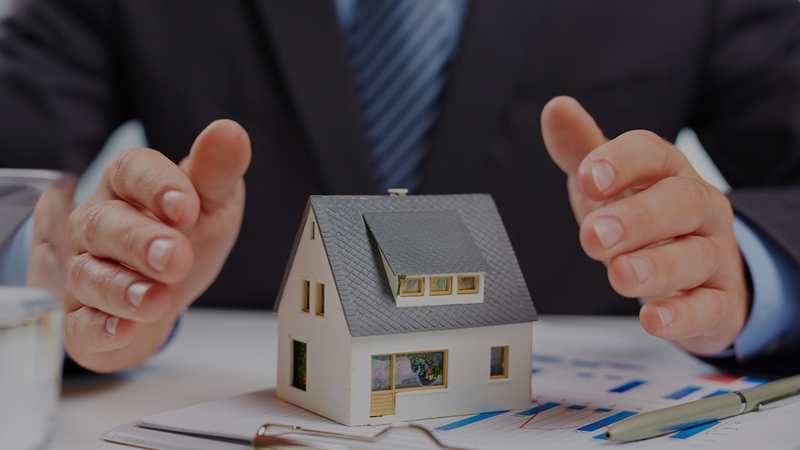 Most people tailor their policy to ensure that their financial commitments would be met in the event of their death, so policies are often aligned with the term of a mortgage or other loan. Life insurance isn’t the only form of protection policy you can take out. Here are some other policy types that families with mortgages often consider. This type of policy pays a monthly income tax-free if you are unable to work due to an illness or injury. The monthly income under the policy will be between 50 and 70 per cent of your salary and will be paid until you are fit enough to return to work, or reach retirement age. State benefits often aren’t very generous in this area and only a few employers will continue to support their staff through a long term illness, so income protection policies can help families through difficult financial times. You can choose the date at which the policy would pay out in the event of a claim. This can range from a month to up to a year. Policies that pay out sooner will have higher premiums. Critical illness cover pays out a tax-free lump sum if you are diagnosed with a major illness as specified in the policy, for example cancer and heart disease. Some insurers will make a part payment on an early-stage diagnosis of a condition specified in the policy, the percentage will vary from company to company. Many people buy a combined life and critical illness policy, and it often makes sense to do so. In this case, a payment would be made on either diagnosis of a critical illness, or death, whichever is the sooner. If the cover is combined in this way, the policy premium is usually cheaper than it would be for separate policies, as there is only ever one lump sum paid out by the insurance company. These policies can offer affordable cover for growing families. Family income benefit policies work in a similar way to ordinary life cover, but instead of a lump sum the policy pays out a regular income if the policyholder dies. Parents of young children often consider this type of policy, and take it out jointly, as it means that if one of them were to die during the term of the policy, then an income would be paid out for a pre-determined period. So, for example, if you had a 20-year policy and were to die five years into it, then the policy would pay out a regular income for the remaining 15 years. This type of policy can also be combined with critical illness cover. This simple formality is now widely used to help pass money on swiftly and efficiently to loved ones on death. A trust is a legal arrangement that ensures the payout from your life policy can be made directly to your beneficiaries, for instance your wife or your children, and doesn’t form part of your estate, and therefore isn’t subject to Inheritance Tax. In addition, the payment wouldn’t have to wait until the grant of probate (the legal document required to administer your estate) has been granted. Obtaining probate can be a lengthy and time-consuming process, but if a policy is written in trust, the proceeds can be paid out once a death certificate has been obtained. Should couples have one policy or two? Although couples often share a lot of things, when it comes to life insurance it can make sense for each partner to have their own separate policy. A ‘single’ life policy provides cover for that person only, and pays out the amount of cover provided under the policy if the insured dies during the policy term. By contrast, a ‘joint’ policy covers two lives, normally on what’s referred to as a ‘first death’ basis. This means that the policy pays out if during its term one of the policyholders dies. As the policy is designed to pay out only once, it will come to an end. So, in this case, the surviving partner would no longer have any life cover under this policy. If instead each had their own policy, the survivor would still have life cover in place. Not all IHT solutions are regulated by the Financial Conduct Authority.